Mute swan (Cygnus olor) is another largest bird that still lives until today. 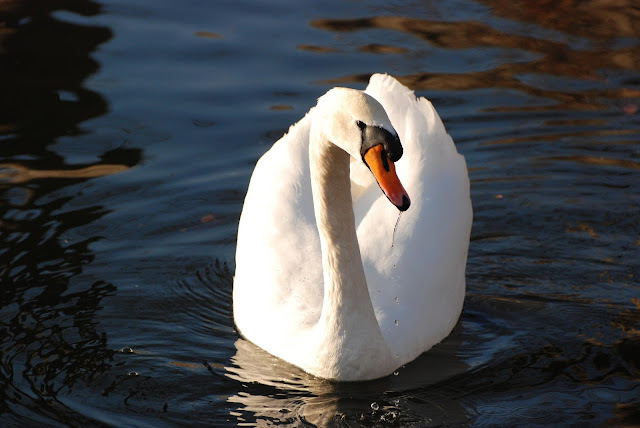 The mute swan is one of the swan species that also member of the waterfowl that includes ducks, and geese. It is native to Eurasia, and (as a rare winter visitor) the far north of Africa. Anyway, they are introduced to North America, Australasia and southern Africa. Mute swans can grow in number very rapidly. Being big in size make it have less predators. Another advantage is, it also produces large quantity of eggs in one breeding season. 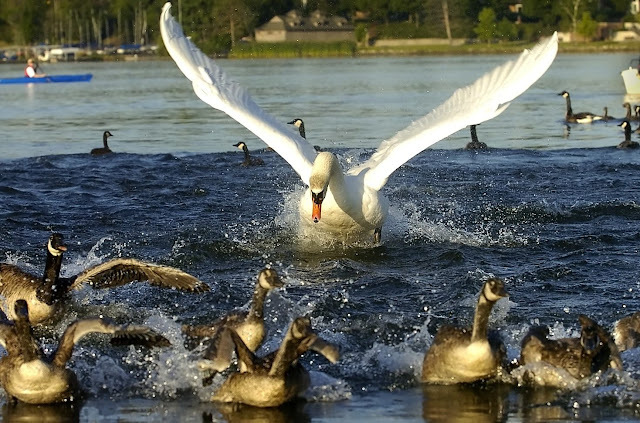 Mute swan are territorial bird and will protect its area so aggressively. It will chase away any other birds, dogs, or even human. In fact, in some places in North America, they are considered as invasive species (as they are not native) and their numbers keep on increasing. With aggressive behaviour they also become a threat to local species for breeding areas, but also in food sources. With their large appetite, they overgrazing vegetation that cause damage on aquatic habitat for the native species. Mute swan was introduced to all their new territories to decorate large estates, city parks, and zoos in mid 1800s and through early 1900s. Some of them might escape and formed their own breeding populations. Their numbers grow very rapidly with their behaviour might threaten native species. The mute swan is a very beautiful bird with beautiful white plumage. 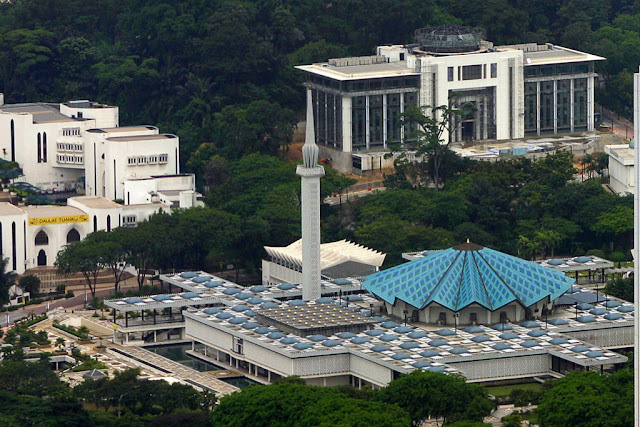 Their orange colour bill appears brighter in contrast to the black colour border. While larger males also have a larger knob on their bill to appear more attractive to female. 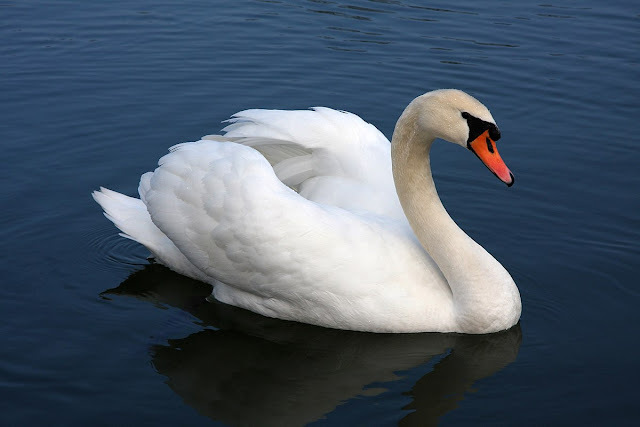 They form ‘S’ shape with their neck while swimming with wings slightly rise up – make it attractive to human. Their monogamous behaviour also make them as a symbol of long lasting marriage. Their size typically ranges from 140 to 160 cm (55 to 63 in) long with a 200 to 240 cm (79 to 94 in) wingspan. The mute swan is one of the heaviest flying birds. 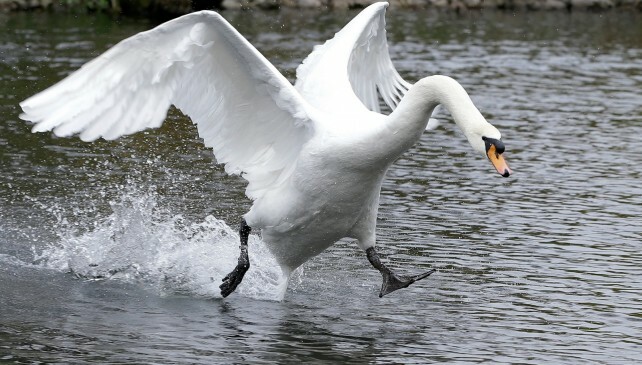 The average weight for swan can range from 10.6 to 11.87 kg (23.4 to 26.2 lb). The largest male can reach up to 15 kg (33 lb), and the largest Polish male mute swan weighed almost 23 kg (51 lb). 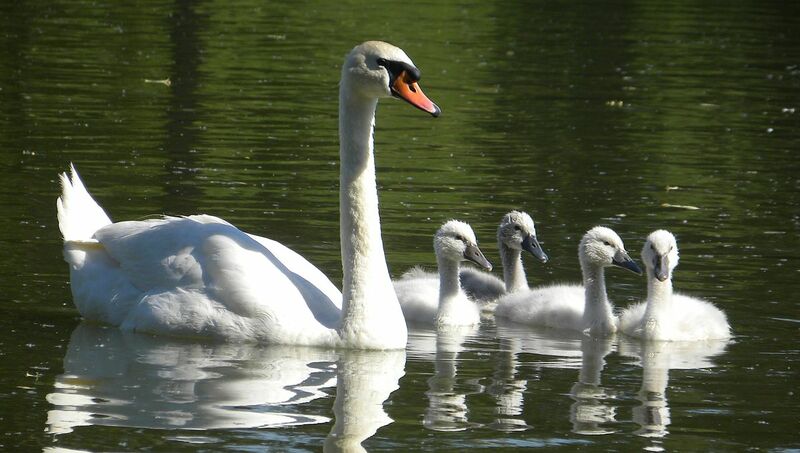 The young birds are called cygnets have greyish colour. Anyway, they are able to move around the nest and ready to swim soon after they feathers dry. Young babies are ready to fly 65 days after hatching. Even though there are considered as invasive in North America, back in their native areas (Eurasia), mute swans are protected to increase their numbers. Hopefully more studies will be carried out in order to help mute swan wherever they are.